Leather Shoes & Boots from Civil War Era. Cavalry & Artillery Boots. Brogans. 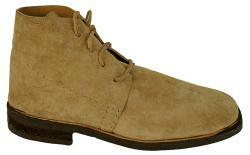 C&C Sutlery offers the finest Shoes & Boots available at a very affordable price. All Shoes are made to the original specifications on square toe lasts. 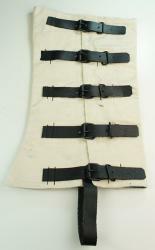 We use only top grade leather. The soles are wooden pegged. 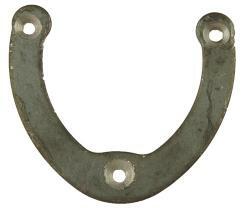 The shoe has a rigid heel support and hickory shank for arch support. All shoes are stretched. We do not use staples, cardboard, etc. 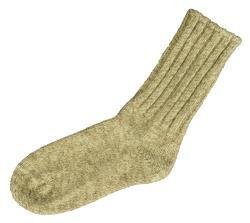 in making our shoes as these items tend to decrease the life of the product. 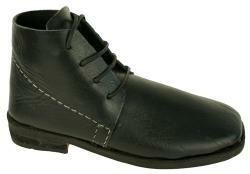 STANDARD Imported Men's SHOES: Sizes 7-13½ in Black Rough Leather, Black Smooth Leather, & Russet Rough Leather. STANDARD Imported BOOTS: Sizes 7-13½ in Black Leather. 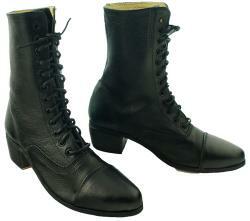 STANDARD Imported Ladies Boots: Sizes 5½-10 in Black Leather. 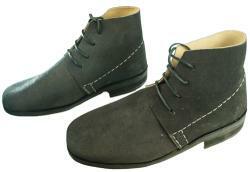 SPECIAL ORDER Imported Men's SHOES & BOOTS: Sizes 14 & above and are subject to a restocking fee. ALL US MADE SHOES are Special Order. Please allow 6-8 weeks for delivery. These shoes are subject to a restocking fee. Be sure to read about properly caring for your leather shoes and boots if they get wet. The Ladies Lace Front Boots are about 9 inches high with a 1 1/2 inch heel. 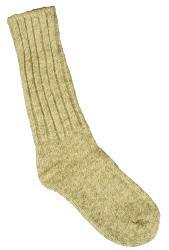 They are made from the finest quality leather. These boots fit well and are fairly comfortable. Available in Black Leather only. 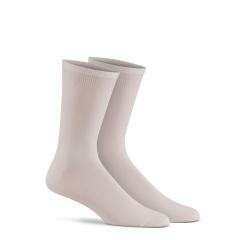 Order your NORMAL shoe size if you will wear the boots with thin trouser socks, thin liner socks, or nylon hose. 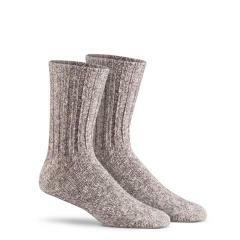 Order 1/2 size LARGER than your normal shoe size if you will wear a heavier sock like a lightweight wool or acrylic sock.